DownloadNp Blog: Is the Windows Version on My Computer 32-bit or 64-bit? This document is required for computers running the Windows operating system only. 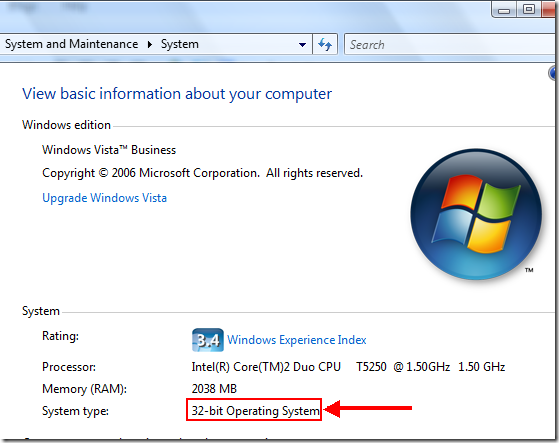 Some software and drivers install only on 32-bit types of Windows. Some work only in 64-bit Windows. To download software and drivers from download sites, you must select a 32-bit or 64-bit version of Windows. You can see the system type there. This document does not apply to Mac computers. 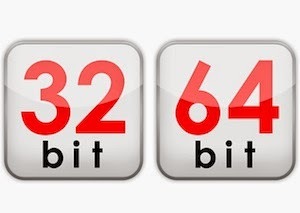 NOTE: If your operating system does not include (64-bit) or (32-bit) in the name, the system type is 32-bit.